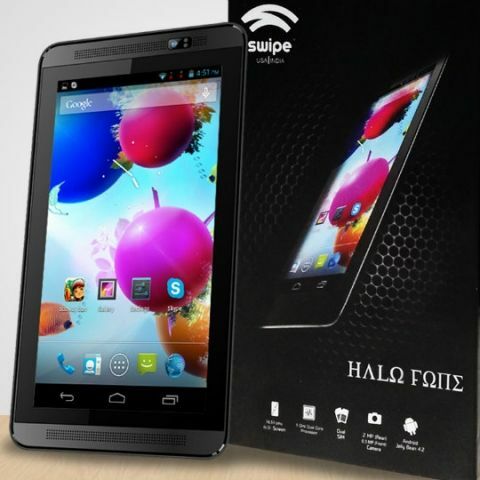 Swipe has introduced a new Android-based tablet, called the Halo Fone. The new Swipe tablet features voice-calling (dual-SIM GSM GSM), Android 4.2.2. Jelly Bean and 1.3GHz Cortex A7 dual-core processor along with 512 MB of RAM. The Halo Fone Tablet is available online for Rs. 6,999. 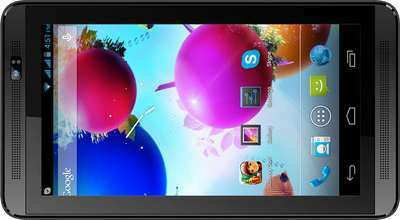 The Swipe Halo Fone Tablet has a 6.5-inch TFT LCD Capacitive Touchscreen with 800 x 480 pixels. It has a 2MP rear camera and 0.3MP front camera, 4GB of built-in storage, expandable up to 32 GB. For connectivity, the tablet supports GPRS, EDGE, 3G and Wi-Fi 802.11 b/g/n. The tablet is powered by a 2800 mAh battery, which is rated to deliver 6 hours of talktime, 4 hours of browsing time and 150 hours of standby time.